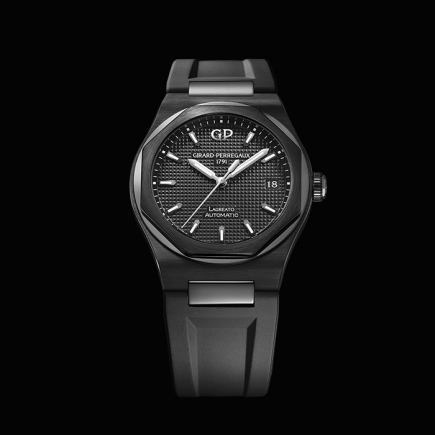 girard perregaux | 172'000 € Tax inc.
A bold design that reinterprets an icon of watchmaking tradition into a captivating modern timepiece. 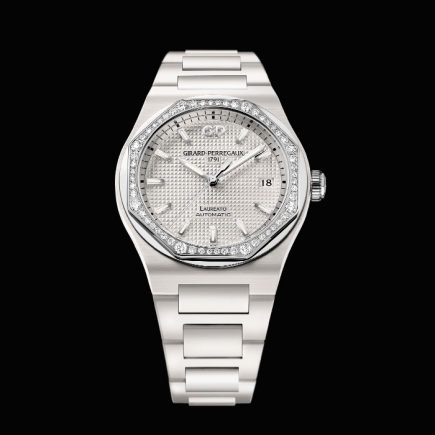 Exceptional presence on the wrist with perfect wearing comfort, despite a diameter of 45mm. 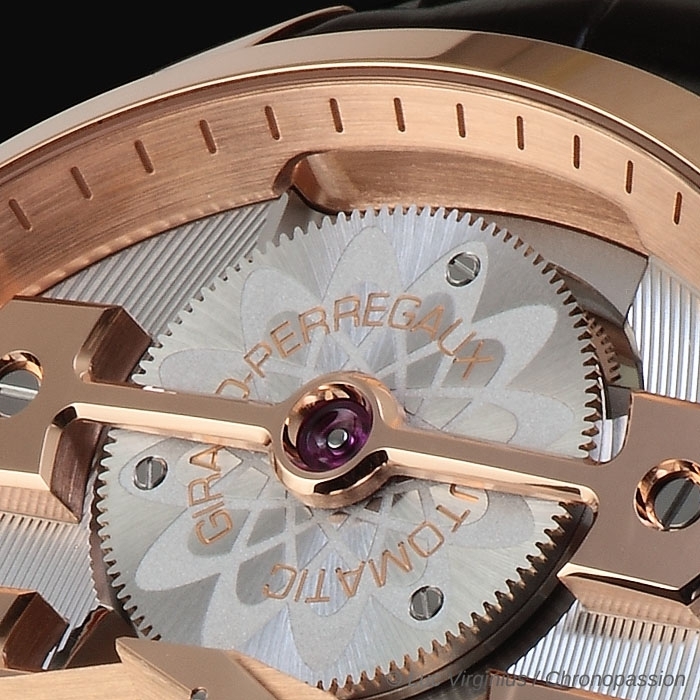 The two sapphire crystals on the side of the case at 12 and 6 ‘oclock offer commanding side views of the beautiful architecture in order to appreciate the 3-D construction. 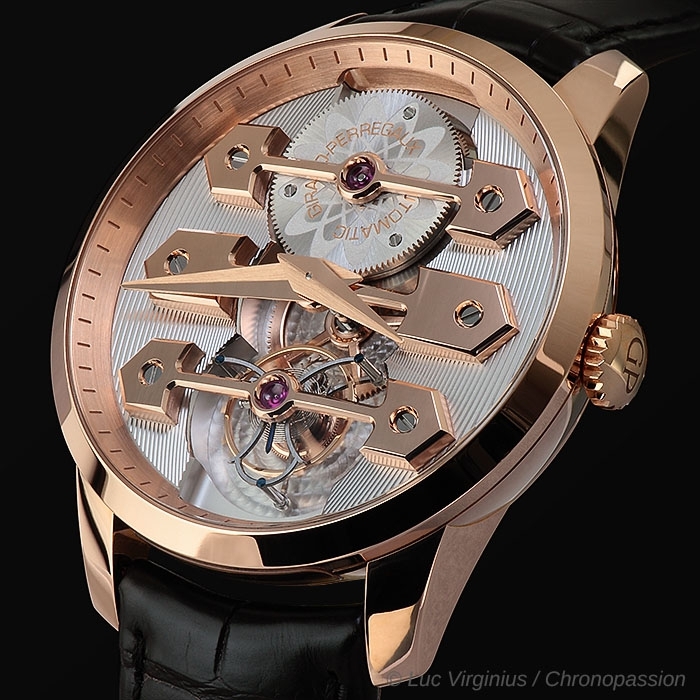 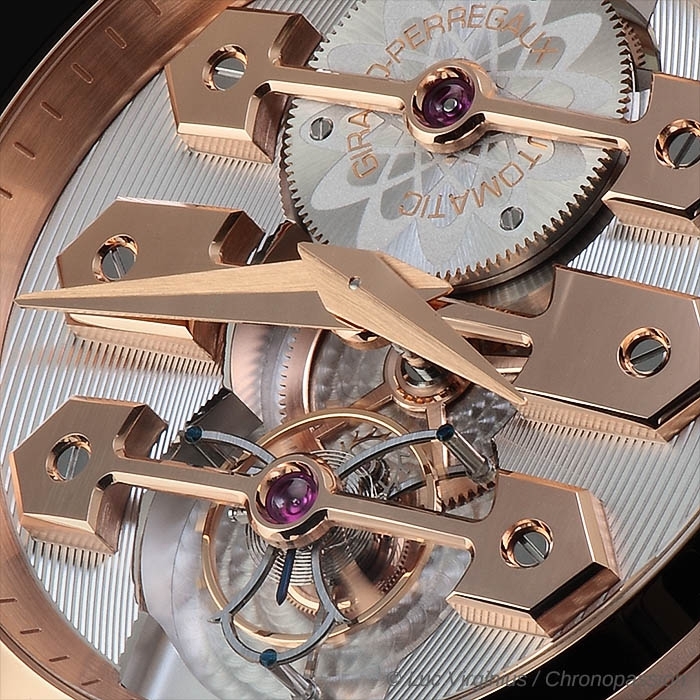 The symmetrical and ingenious architecture of the movement becomes the face of the timepiece (no dial). 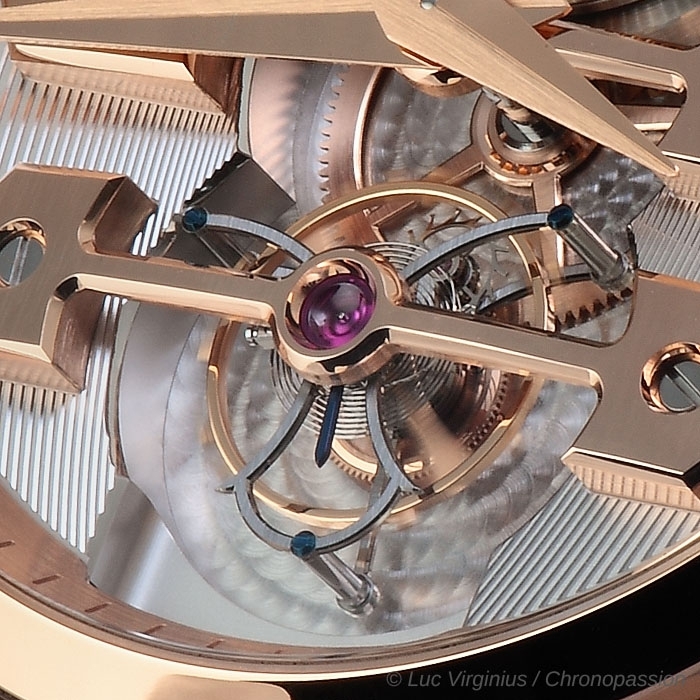 The lines of the famous Bridges present a aerial design crafted in pink gold (long and complex process). 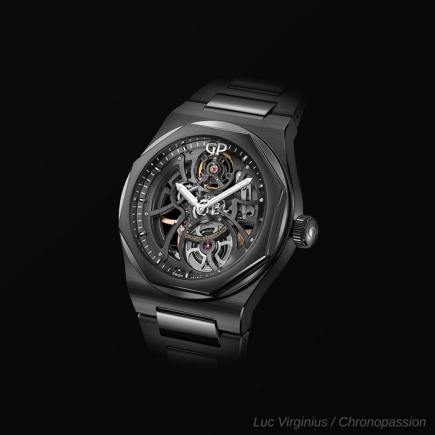 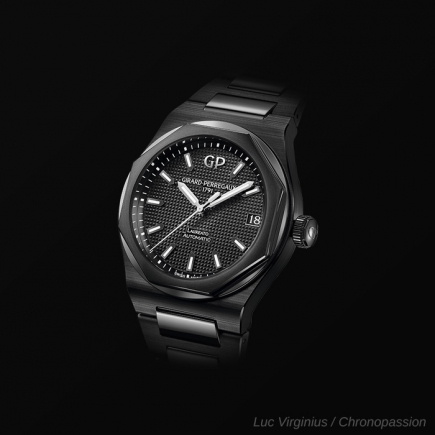 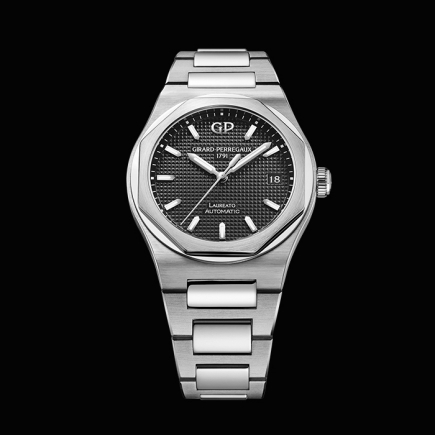 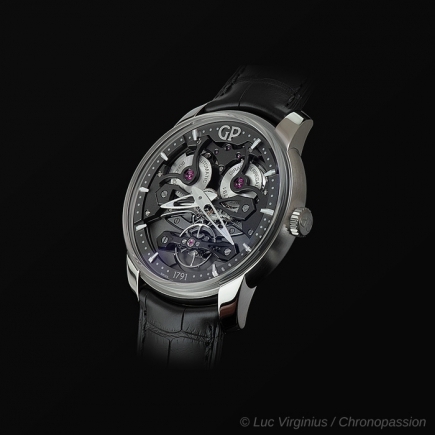 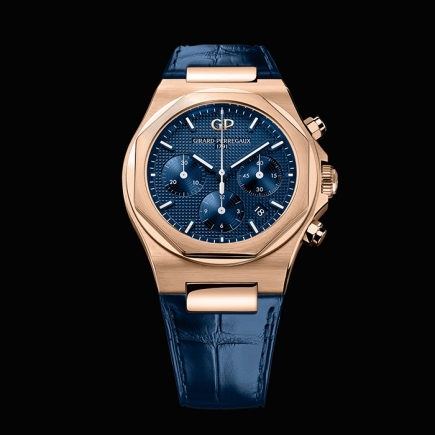 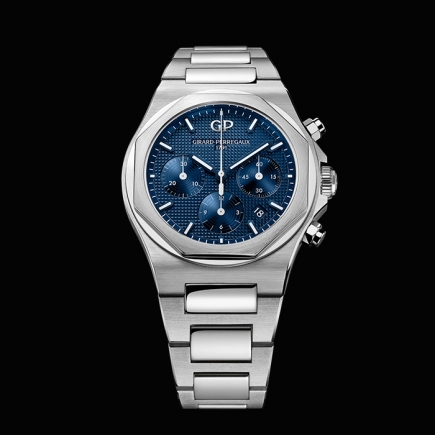 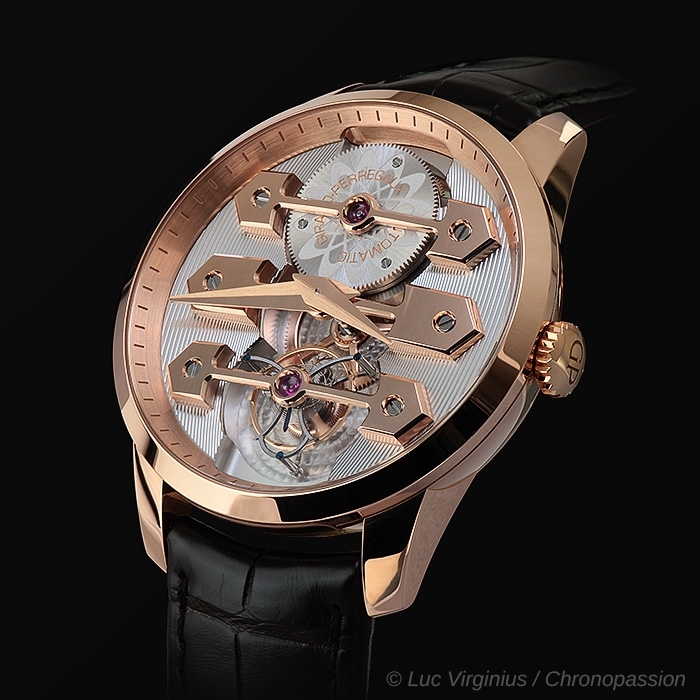 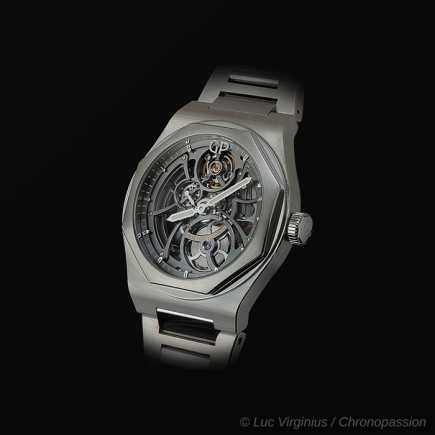 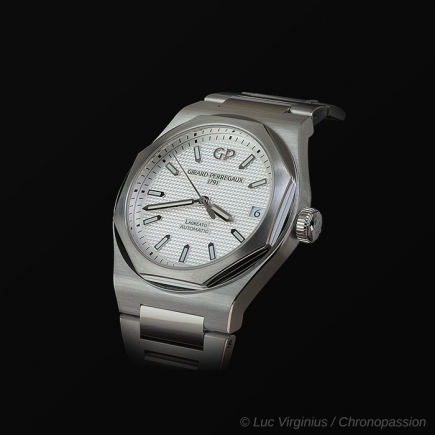 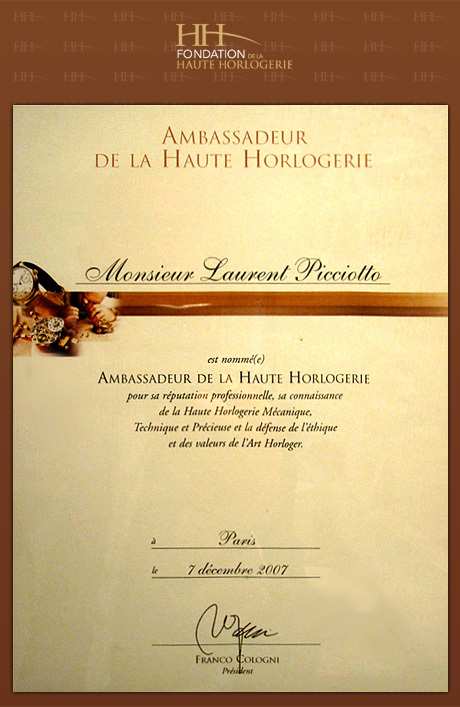 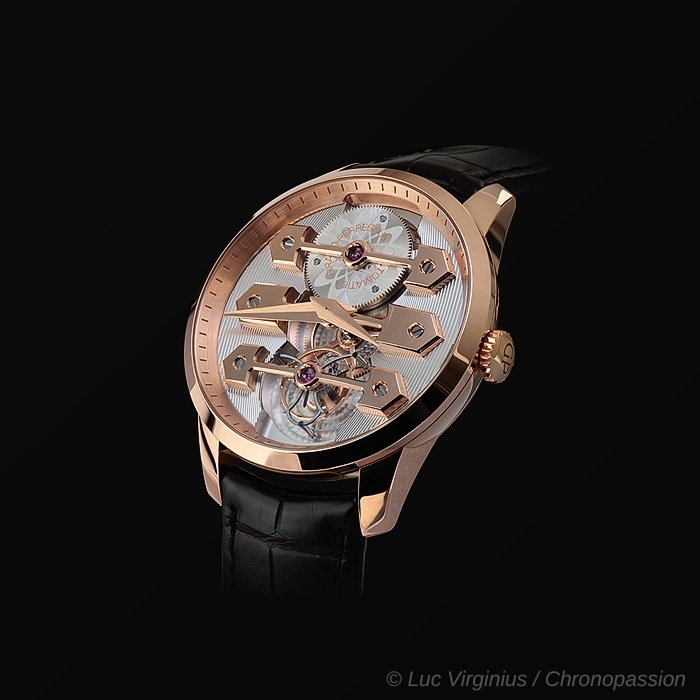 A worthy heir to the prestigious creations that have earned Girard-Perregaux’s reputation for excellence. 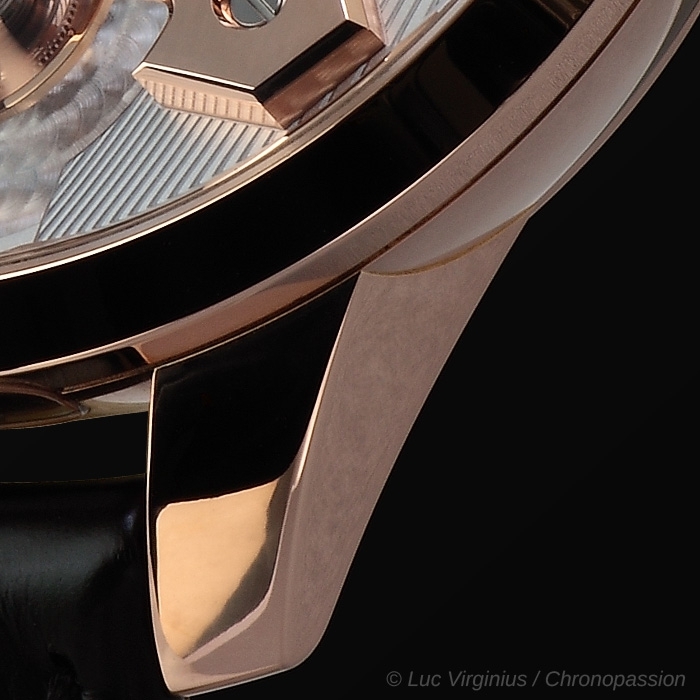 Exceptional and exclusive manufacturing. 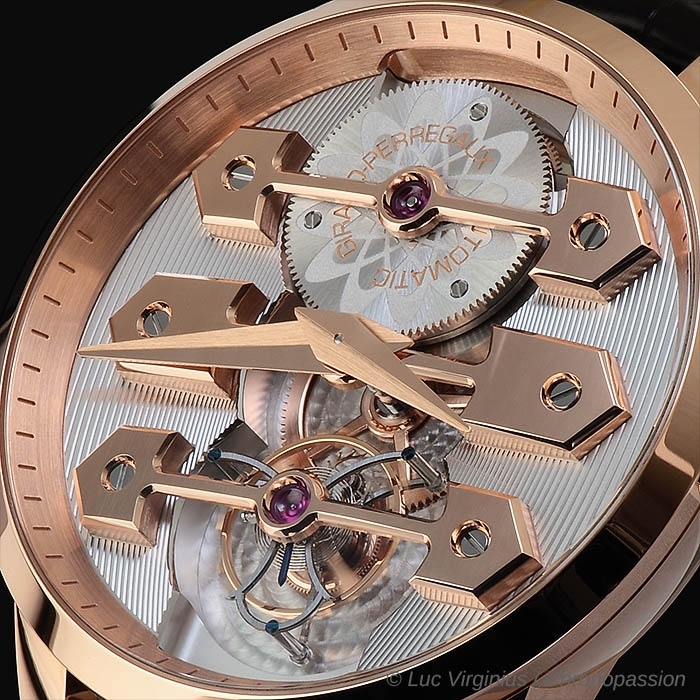 The movement is made of 263 components while the the Tourbillon cage crafted in titanium is made of 80 parts that fit in a diameter of only 14.44 mm and weighs 0.250 gram! 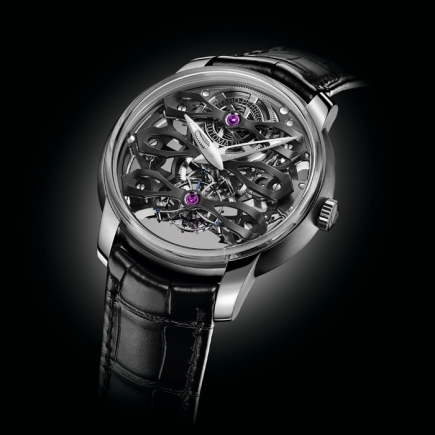 It is made of a platinum micro-rotor, incorporated beneath the barrel. 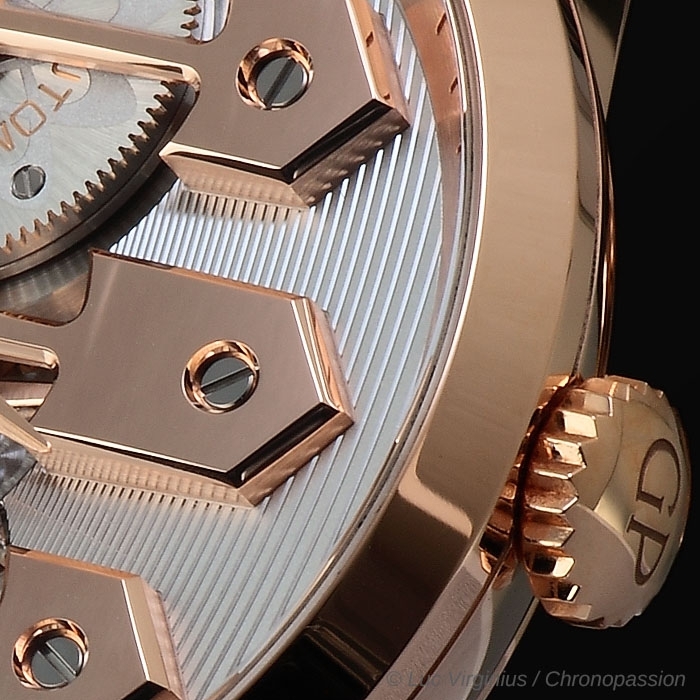 Each part is polished, chamfered and carved out by hand and to 1/100 mm (average diameter of a human hair), according to the finest traditions in watchmaking.